A spokesperson from China's embassy in Sweden has said that the embassy is "deeply shocked" at the treatment of three Chinese tourists by Swedish police in Stockholm in the early hours of the morning of September 2. A statement issued by the spokesperson on Saturday said the embassy "strongly condemned the actions of the Swedish police", which "seriously violated the safety and basic human rights" of the three Chinese citizens. According to the statement, the embassy and China's Ministry of Foreign Affairs have both made representations to the Swedish government, in Stockholm and in Beijing. The embassy urged the Swedish government to conduct a thorough and immediate investigation, and respond to the tourists requests for punishment, an apology, and compensation. "We cannot understand why the Swedish side has not given us any feedback," said the embassy on its official website. "We hope that the Swedish side will handle the case in accordance with the law, and once again urge the Swedish side to take immediate actions to protect the safety and legitimate rights and interests of Chinese citizens in Sweden." 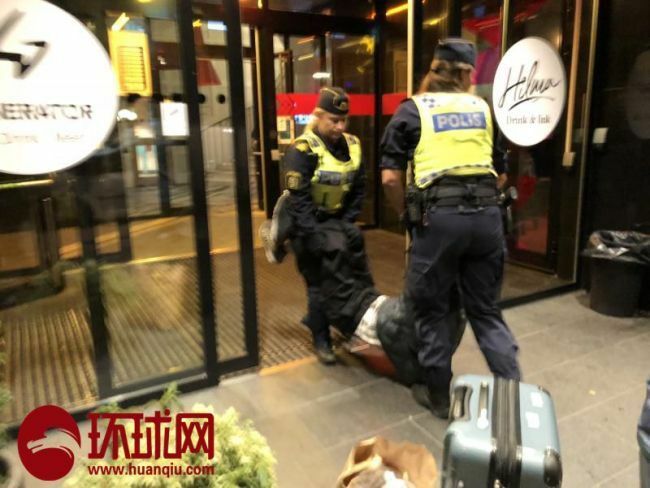 The statement comes amid claims published by China's Global Times newspaper on Saturday that three Chinese tourists – a man and his elderly parents – were forcibly ejected from a hotel by police in Stockholm earlier this month and severely mistreated. According to the Global Times, the authorities in Sweden have not responded to the allegations. Early on Friday, China's embassy in Sweden issued a warning to Chinese nationals visiting the country. The statement, published in Chinese, said that Chinese people in Sweden have been the victims of robbery and threats, and that some Chinese tourists were recently "treated harshly by Swedish officials". The embassy said it is "highly concerned about the safety and legitimate rights and interests of Chinese citizens in Sweden", and that it has made representations to Swedish authorities.